The IFO responds to a legislative request regarding the General Fund revenue impact from conformity with certain federal tax code provisions. The first edition of our monthly newsletter – The IFO News Stand. 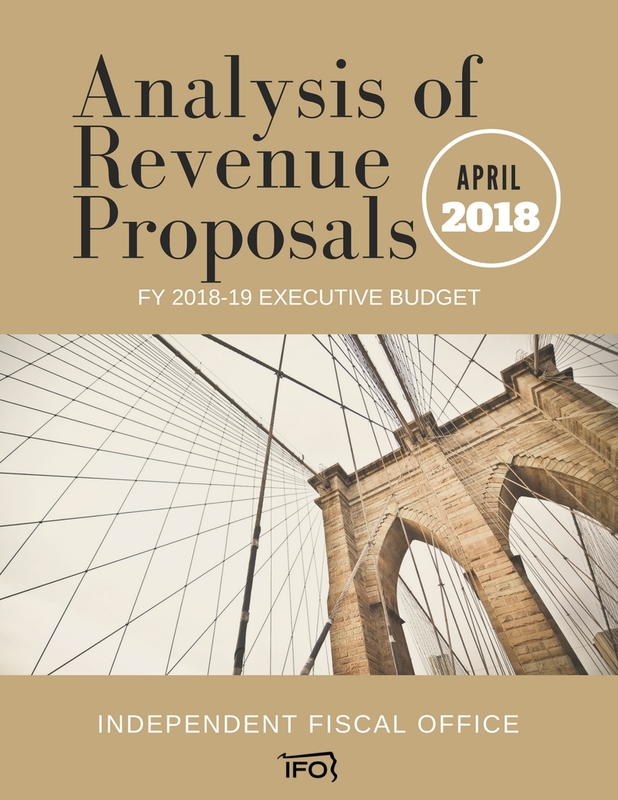 The new release provides links to recent articles and reports that provide insight into state or national economic, demographic, budget and tax revenue trends. The IFO responds to a legislative request regarding the state corporate net income tax (CNIT). The report contains an analysis of state CNIT rates, their impact on revenues and a proposal to reduce the Pennsylvania CNIT rate. The IFO responds to a request regarding the Neighborhood Assistance Program Tax Credit. The Commonwealth collected $4.3 billion in General Fund revenues for March, a decrease of $97 million (-2.2%) compared to March 2017. Fiscal year-to-date revenues were $25.3 billion, an increase of $2.9 billion (12.9%) from the prior year.